Brian completed his medical training in 1990 at the University of Manchester, England. 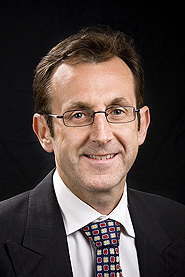 He commenced his radiology training at the University of Manchester in 1996 and completed his radiology training at Sir Charles Gairdner Hospital, Perth in 2002. He continues to work at Sir Charles Gairdner Hospital as Specialist Radiologist and joined Perth Radiological Clinic in 2007. He is currently co-Managing Partner at Perth Radiological Clinic’s Armadale Hospital clinic.